Newcastle boss roars in the face of relegation, makes stunning £40m claim | The Transfer Tavern | Where football transfer rumours fly or die! The Newcastle United fans who are competing in a pool tournament in The Transfer Tavern this evening are discussing comments made by their manager. With quotes sourced from Football Insider, Newcastle manager Rafa Benitez has roared the club don’t need to sell anyone of their top players. Following the relegation on Tyneside, it was highly expected that the Toon Army would have to shift some of their best players in order to keep books balanced. The likes of Moussa Sissoko, Georginio Wijnaldum, Darryl Janmatt, and Andros Townsend were all tipped to depart the club this summer, though the 56-year old has poured cold water over such reports. It was thought that quartet would raise around £40 million in fees which would afford the former Real Madrid and Chelsea boss funds in the second tier. However, upon agreeing to stay at St. James’ Park, the Champions League winner has announced he has written assurances that he is under no pressure to sell unless he wishes to. 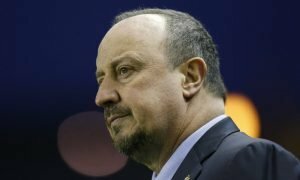 “I don’t need to sell any I players I don’t want to sell,” said Benitez at a press conference on Wednesday, as quoted by the Chronicle’s Newcastle editor Mark Douglas. The Newcastle fans in The Tavern are delighted with the news and think that with Benitez at the helm he can get the side back in the big time as early as the end of next season. 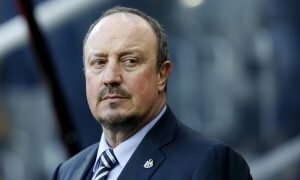 Will Benitez win the Championship at a canter with Newcastle United?